It’s been said that investing is simple but not easy. In other words, the underlying principles are straightforward, but it can be hard to stick to them, especially in times of market upheaval. One thing that makes it easier to stick to the plan is to actually have a plan. Today, I want to spend a little time laying out a simple investing strategy to help you formulate a plan of your own. Of course, there is no one-size-fits-all solution, but what follows is a good jumping off point. For the purposes of this post, I’m going to assume that you’re comfortable with a passive investing strategy, and I’m going to use Vanguard mutual funds as my vehicle of choice. 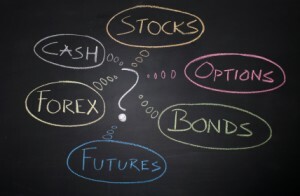 For starters, you’ll need to decide on your stock/bond mix. As a rule of thumb, I recommend starting with holding your “age in bonds” and adjusting from there based on your risk tolerance and capacity. For a 40 year old, this would work out to a 60/40 stock bond mix +/- whatever it takes to make you comfortable. Next, your core holdings… For most investors, the simplest and lowest cost solution is the best. 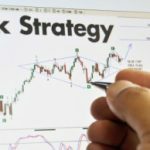 Thus, the basis of your equity portfolio should be the a broad-based stock index fund such as the Vanguard Total Stock Market Index (VTSMX) and your bond portfolio should be based on something like the Vanguard Total Bond Market Index (VBMFX). If you want to spice things up, consider splitting your equity allocation 2:1 domestic to international with something like Vanguard Total International Stock Index (VGTSX). Likewise, you can add in some TIPS to your bond portfolio (e.g., 2:1 total to TIPS) using something like Vanguard Inflation Protected Securities (VIPSX). When it comes to having multiple accounts, it’s important to view the overall portfolio as one big bucket of money. You don’t need to have the target allocation in each and every account, just overall. Thus, you can (and should) think about tax efficiency when placing your investments. In other words, tax inefficient investments (such as bonds) should go in tax advantaged space and tax efficient holdings should be placed in taxable space (assuming you don’t have enough tax advantaged space to hold everything). That’s it. Once everything is set up, it’s just a matter of maintaining it. For dividends, I personally prefer to have everything in our taxable account paid into a money market. I then reinvest quarterly into whichever portion of our portfolio is low relative to our target allocation. This helps to minimize the need for rebalancing. Speaking of rebalancing, you should do this according to set criteria. Either annually (or on some other periodic schedule) or whenever your investments get more then a certain percent out of whack. For example, if you are targeting 60:40 stocks and bonds, then rebalance when your stock allocation gets above 66% or below 54% (this would be a 10% rebalancing band). Over time, you’ll of course want to adjust your allocation. As you approach the time when you’ll need the money, you should generally be moving toward a more conservative allocation. The “age in bonds” rule does this automatically. You don’t need to tweak it each and every year, but you should be generally moving in the direction of a more conservative portfolio. *Note: To be fair, target date mutual funds are even simpler than what I’ve outlined above. Unfortunately, if you just pick by year, you may end up with a more aggressive allocation than you bargained for (e.g., the Vanguard TR 2035 fund currently has 88% in stocks), you lose control over the “glide path” (i.e., the rate at which it becomes more conservative), and you also lose the ability to maximize tax efficiency. Nickel – Okay, I’m now tracking with your logic. BTW – I’ll ‘third’ the Vanguard recommendation. I inherited several IRAs from multiple companies. It may not be the best trading platform interface, from what I can gather (makes sense with their primary index fund methodology), but can not be beat with tools to show how you are allocated with Vanguard & outside investments. Nice, simple, low cost, tax-advantaged strategy anyone could implement themselves. The hard part (at least for me) is keeping emotions in check. When you see our nest egg vaporizing–as in the fall of 2008 into the spring of 2009–I find it extremely difficult to maintain positions. I did, and have mostly recovered, but the stress is very high, and a much, much worse outcome was barely averted (in my opinion). Yes, I was painting with broad brush strokes. We’re actually holding municipal bonds in our taxable space b/c they are exempt from federal taxes. Note that treasury bonds are subject to federal taxes (i.e., only exempt from state taxes). But for something like Total Bond Market (talked about in the article) you’re better off holding that in an IRA or similar. Stock are generally considered to be tax efficient b/c they (typically) generate little in the way of taxable income. Gains are subject to favorable capital gains rates, but not until they are sold. Thus, if forced to choose, you would preferentially hold stocks in taxable. I think you meant ‘such as stocks’ or maybe ‘corporate bonds’ here, as treasuries and most Munies are tax free. Good article! It’s traditional advice but very solid. Those who followed this path, if they were close to retiring, should have more invested in bonds for the March ’09 crash and remaining steadfast, their stock fund would still be there for the rebound (and a few more following mini-crashes and rebounds). The ones who stand to ‘sell low and buy high’ are folks who let markets fluctuation determine actions instead of a sound plan. “I personally prefer to have everything in our taxable account paid into a money market. I then reinvest quarterly into whichever portion of our portfolio is low relative to our target allocation. This helps to minimize the need for rebalancing.” This is a really great tips that I feel many people don’t realize is such an easy stratedgy to implement. Great blog post! Keeping it simple with index funds. I second the Vanguard recommendation. They are the best company for DIY investing, with a great selection of low cost index funds to chose from. Outside of my Fidelity 401k, I use Vanguard for my (older) Roth IRAs and my kid’a 529 (college savings). In fact, Vanguard made it easy to transfer accounts from a brokerage firm I had used previously.